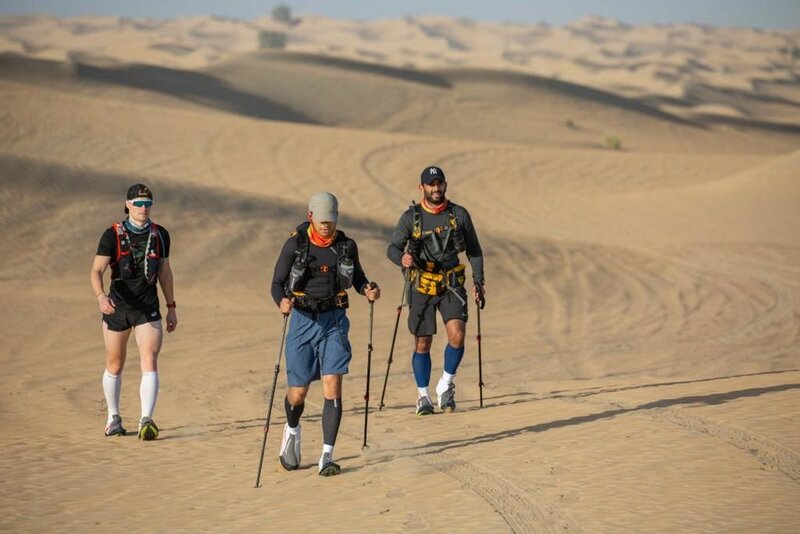 Early January I had the opportunity to train in Dubai with the InnerFight Endurance (IFE) team. 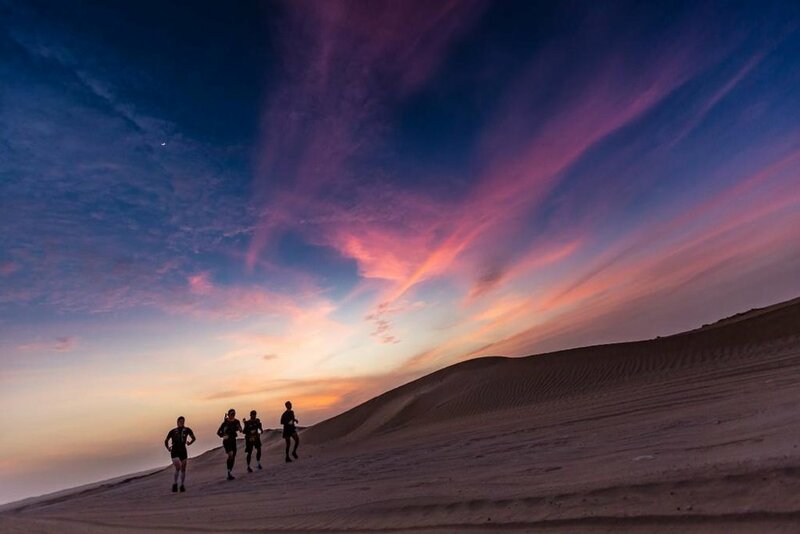 When people think of Dubai, endurance training is not at the top of the list. However, as a result of a week training, exploring, and learning about the IFE lifestyle, it is now top of mine. Upon arrival I was met by Tom Walker (IFE Coach) at the InnerFight HQ. Tom is a Solent University alumnus and has been coaching in Dubai since last June. I was also introduced to Marcus Smith owner of InnerFight fresh from completing 30 marathons in 30 days through the streets of Dubai. Fresh from the 7 Hour flight there was no time to admire the high rises, Tom and I headed straight to Dubai Sports City: an athlete’s dream. The swim set was conducted with a bizarre view of an ICC cricket facility, with lush greenery surrounded by a white picket fence! Nevertheless, no matter where you are in the world a 25m pool is a 25m pool. A total of 3km swimming done, just the beginning of a mega week ahead. With midday temperatures of +30oc forced my first bike session indoors. The turbo session at InnerFight HQ a session driven by adrenaline as fatigue had set in from a 32nd hour of being awake. Thank you ZWIFT! Track Tuesday is fits perfectly in the UK, and this is no different in the UAE. However, with slightly higher temperatures of +30oc, training at 6am was a blessing in disguise. The team was conducting test week; 400m, 1km, 3km. Dropping straight into max effort time trials definitely woke up the legs! Cycling out of the air-conditioned haven of InnerFight HQ was conducted on the exquisite Al Qudra Cycle circuit. Roughly 140km of pristine road through the Dubai Desert! 2:20:00 and 83km later, dodging the cleaning trucks and overtaking the locals, it was time for a group coffee stop and a chat. Al Qudra- a facility with no pop holes, a few kickers, and no cars! What more could a triathlete want. The highlight of the training was heading to the desert for a 2-day Ultra marathon training camp. I had the brilliant opportunity to join and assist those IFE athletes whom were to take on the Marathon de Sables (MDS) later in the year. Dubai desert had dream simulation conditions, desert track, hardened flats, and energy sapping sand dunes. Covering a total of 45km between 6pm and 11 am. With a kit list of headtorches, sleeping bag, hydration system, and steaks, this was a steep learning curve for the MDS potentials! Of course, the above are just the main points of my Dubai training experience. However, what I can say is Dubai is a truly diverse part of the UAE, and whether your interests are in endurance sports, cuisine, beach holidays, or even Skiing- Dubai has it!